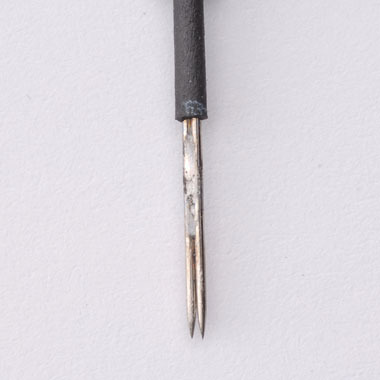 Individually packaged and designed for one-time use, this disposable 2-Prong Needle is for use with the Platinum 6000 Digital Permanent Cosmetics machine. Perfect for lip liner, thin eyeliner and eyebrow hair simulation. 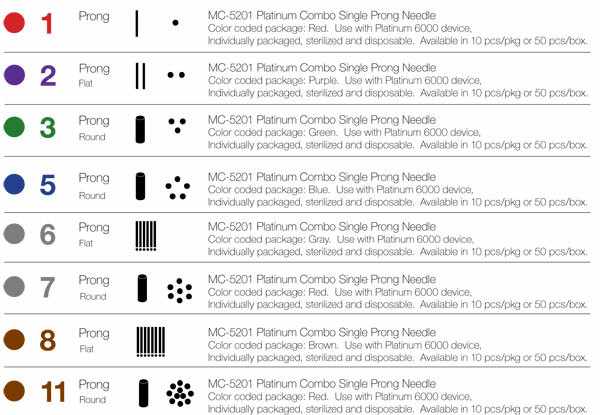 Tips to cover 1, 2 and 3-Prong Needles for the Platinum 6000 Digital Permanent Cosmetics Machine. Order packages of 10 or 50 tips. 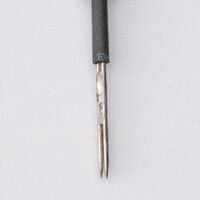 Disposable Retainer for assembly of the Platinum 6000 hand piece device. Disposable Midsection for assembly of Platinum 6000 hand piece.